Ladies Faux Silk Showerproof Jacket. fully satin lined. Sizes 10-24. I am thrilled to bit with this jacket. I have been searching for a few years now for a light coloured lightweight smart waterproof jacket for the summer. Now I have found it and it's so stylish. One very pleased customer. 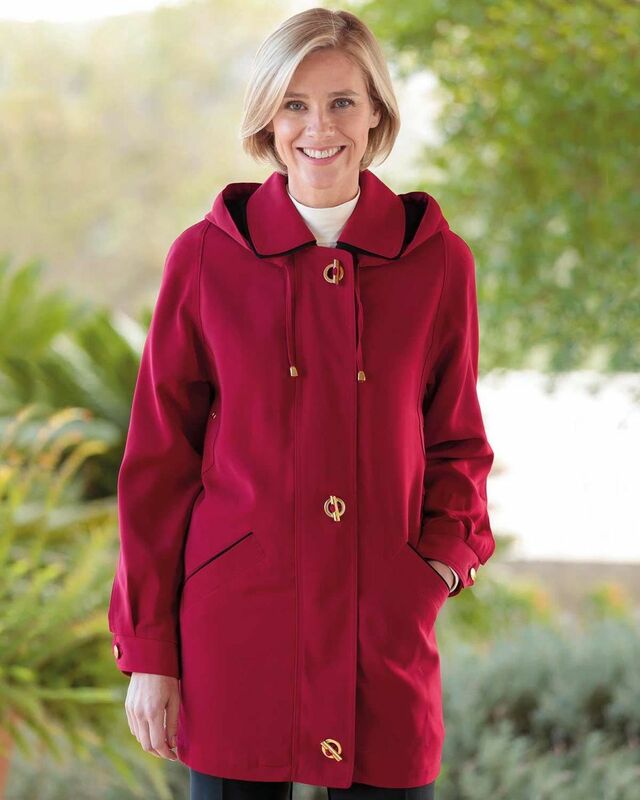 Classic style showerproof jacket in faux silk. Zip up and toggle fastening, detachable hood and classic collar. Fully satin lined. Two pockets on the front, and one inside.100% polyester. A stylish yet practical garment that will keep you dry on those damp days. "I am thrilled to bit with this jacket. I have been searching for a few ..."